Included in our spring 2017 launch are our wonderful mother and child pairing of the Wigeon Duck and Wigeon Duckling. Both adorned in wonderful patterns highlighted in 22 carat gold, what better way to celebrate the season synonymous with new life than this perfect pairing? The new Wigeon Duck is a beautiful creature which can be found on grasslands and marshes, nesting on the ground near water. They are a social duck which loves to gather in large flocks. 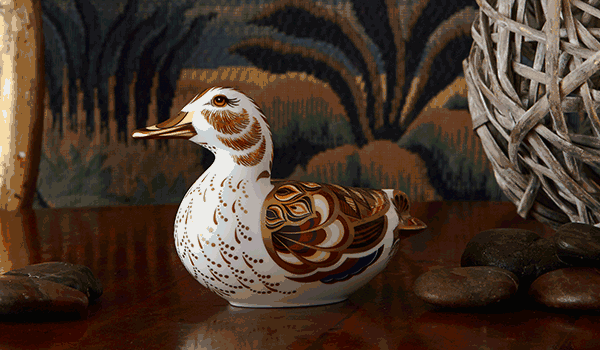 Featuring rounded geometric shapes to bring the beautiful feather detailing to life in hues of red, orange, brown and cream tones with a hint of blue on the ducks underwing together with 22 carat gold feather detail making it a truly collectable piece or a gift item for a special occasion. 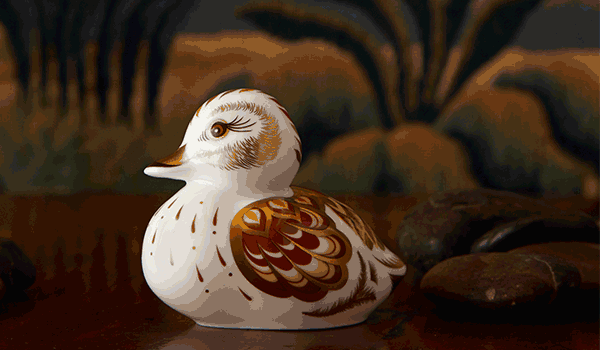 The sweet little Wigeon Duckling is a lovely new addition to the Royal Crown Derby spring collection when new life begins all around us; ducklings are in abundance this time of year. Beautiful details in rich colours of orange and brown tonal shades accentuate the rounded geometric shapes. 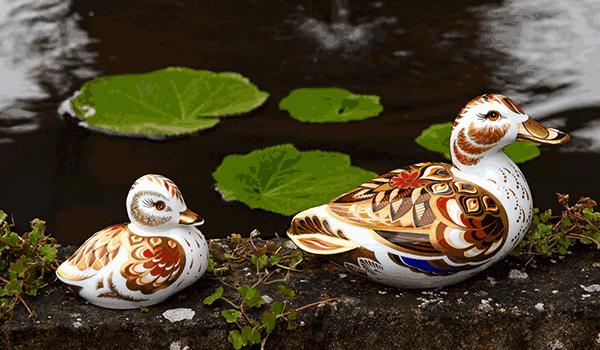 Feathered detail along the body and head, as well as detailed flecks around the eyes emphasise the ducklings down with 22 carat gold highlighting the beautiful feather detail on the body, head and the beak bringing this little duckling to life. View the Wigeon Duckling here.